My recent visit to Autodrome St-Eustache in Montreal, Canada, for Formula Drift was a little different in that it was not an exhibition event. 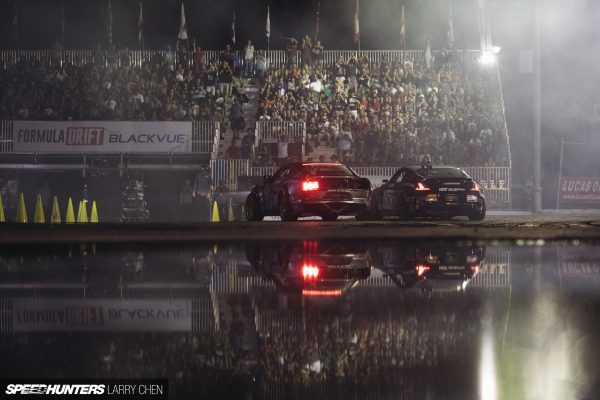 That’s right, for the first time ever a Formula Drift Pro round was held outside of the United States. While not everyone on the grid made it up to Québec for the event, the majority of the Pro field – and especially those teams chasing championship points – were there. Here is a collection of my favorite images from the round with a little bit of commentary littered throughout. Enjoy! I get non-stop requests to post more photos of Mad Mike, but as you guys probably know, the past two events have not been so kind to the Kiwi drifter. Mike blew a motor in Jersey, and it seems he just can’t catch a break this year. I love the Miata that he built, but I think it’s time to bring out the TCP Magic-built FD3S RX-7 from Japan. What do you guys think? 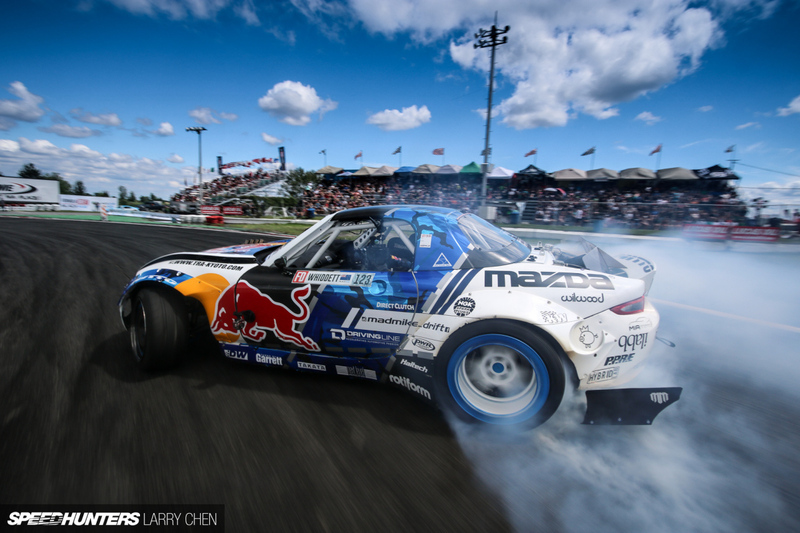 Posted in Behind The Scenes | Tagged Autodrome St-Eustache, Chris Forsberg, Formula DRIFT Canada, Fredric Aasbo, Vaughn Gittin Jr.
Last year I took the trip over the Montreal for Formula Drift Canada not really expecting anything out of the ordinary. After all, I’ve shot drifting all over the world, so what could be so special about one event at a tiny track? I was blown away. 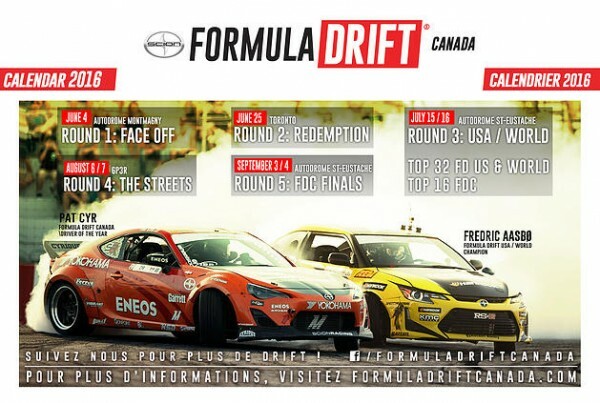 Autodrome St-Eustache is an amazing track and the Canadian drifters have so much style and love for the sport. But that’s not what surprised me the most. The fans are what really blew me away. It could be because the event itself is not terribly far from the city of Montreal, but let me tell you, these guys and girls were rowdy. I swear, the line to get in was at least half a kilometer long. The parking? Forget about it. It spilled out onto the streets of the tiny city and when the event was over it created an epic traffic jam that took almost two hours to clear. Outside the venue the fans would camp for the entire weekend, which of course reminded me of the Gatebil crowd. I wanted to share with you guys a collection of my favorite images from the event that I think portray it visually. Here are 60 photos, in no particular order, through my lens.